The Obama administration has suspended all high-level dialogue with Pakistan, a key U.S. partner in the Afghanistan war, over the case of an American diplomat the Pakistanis have detained on possible murder charges, U.S. and Pakistani officials said. The case of Raymond Allen Davis, who has admitted he fatally shot two Pakistanis he said threatened him from a motorcycle while he was driving in Lahore on Jan. 27, has severely strained relations between the two governments and threatens to scuttle a planned summit among U.S., Afghan and Pakistani leaders scheduled for the end of this month in Washington. Secretary of State Hillary Rodham Clinton canceled a meeting last weekend with Pakistani Foreign Minister Shah Mehmood Qureshi at an international security conference in Munich to protest Allen’s detention, according to officials from both countries who were not authorised to discuss the situation on the record. The administration has twice summoned Pakistani Ambassador Husain Haqqani to the White House for formal complaints and demands that Pakistan recognise Davis’s diplomatic immunity and release him immediately. 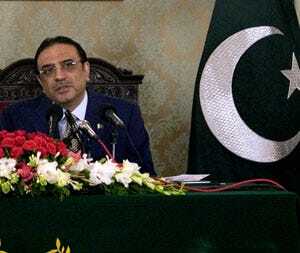 The message was repeated in a meeting in Islamabad Monday between Pakistani President Asif Ali Zardari and U.S. Ambassador Cameron Munter.